Nails are made of keratin the same protein that is used to build hair fibers. Foods that are good for hair growth are equally beneficial to improve nail growth. Improper nail care, lack of moisturizers and deficiency of essential nutrients may lead to dry, brittle, thin and weak nails. For long, strong and healthy nail growth, mix equal quantities of egg white, olive oil, and lemon juice in a bowl. Soak your nails in this mixture for about 15 minutes every day. The vitamins and nutrients from the egg white and lemon juice will help strengthen your nails and the olive oil will help moisturize them. Take an empty and clean bottle of nail polish and add 8 drops of lemon juice, 5 drops of white iodine, and a crushed garlic. Mix them well and apply a layer on your nails. Let it stay on your nails at least for one hour and then remove this nail enamel and wash your nails. Regular application will show excellent result within few days. For long and strong nails apply Vegetable oil (canola, castor or safflower oil) on your nails. Vegetable Oils naturally moisturize your nails and improve their growth. Dryness is one of the major cause of brittle and weak nails. Keep your nails moisturize by applying a good natural oil. Olive oil is a natural moisturizer, you can apply olive oil on your nails daily before going to sleep. For better results, daily massage your nails with warm olive oil. Apply flaxseed oil on your nails daily for 15-20 minutes. Flaxseed oil not only improve nail growth but also nourish dry or brittle nails and prevent them from cracking or splitting. Petroleum jelly help to keep your nails moisturize. Apply a thin coat of petroleum jelly on your nails and before going to sleep cover your nails with cotton gloves. Early morning when you wake up, wash your nails with mild soap and fresh water. This method is very effective specially in winter season when nails tend to dry. Green tea is also very helpful to get long, strong and healthy nails. The antioxidants in green tea not only help to prevent brittle nails but also give them strength for longer nail growth. In addition, green tea helps to remove yellow discoloring. To get long and strong nails brew a cup of green tea and allow it to cool. Now soak your nails in it for 10 - 15 minutes. For best results, repeat this process 2-3 times per week. Application of Vitamin E oil is one of the most effective and simple home remedy to get stronger nails. All you need to do is to break and open a vitamin E capsule to extract the oil. Apply the oil on your nails and massage gently for 3-5 minutes. Repeat this daily before going to bed and next day wash your nails with clean water. Application of coconut oil is an other great way to get long and strong nails. Massage your nails with warm coconut oil daily at night. Continuously massage for 3-5 minutes and let it stay overnight. For best results, repeat this process on a regular basis. A mixture of tomato juice and olive oil is highly beneficial for long and strong nails. Tomato contain a good amount of Vitamin A, C and B7 (biotin). All of these vitamins are essential for healthy growth of nails and skin. Olive oil and contains a good amount of vitamin E and many other important nutrients which are important for long and strong nails. Take 1/4 cup of tomato juice and 1 tablespoons of olive oil in a small bowl. Soak your nails in this solution for 8-10 minutes. Repeat this process on a daily basis. Food play an important role in making your nails long and strong. Try to increase the intake of Vitamin A, B Vitamins, Vitamin C, Calcium, Iron and Zinc in your diet because deficiency of all these vital nutrients may lead to brittle, dry and weak nails. Protein helps to improve nail growth. 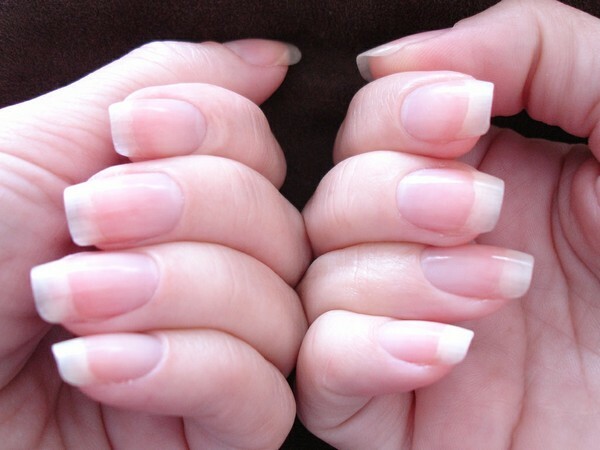 To get long and strong nails, add more protein to your diet. Meats, eggs, fish, sunflower seeds, nuts, tofu and low fat cheese are rich in protein.